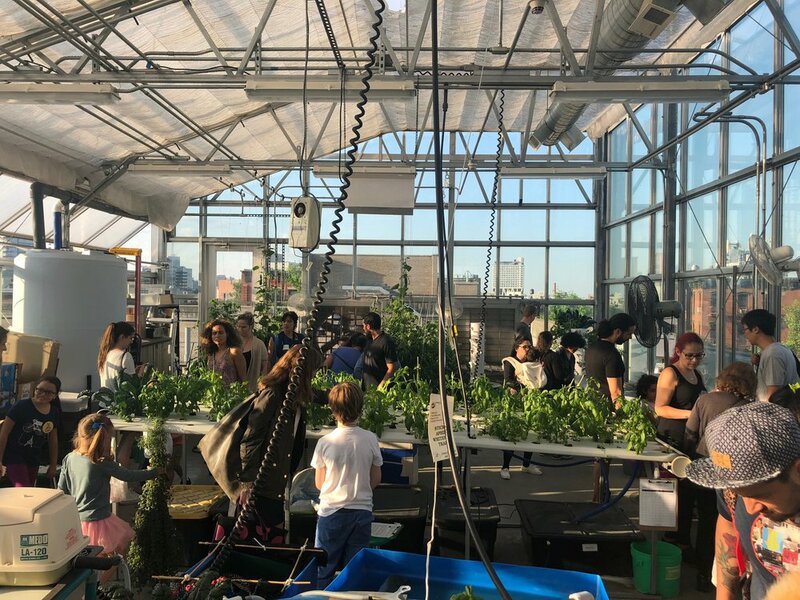 Our Greenhouse Science Laboratory is a rooftop classroom built around 21st century sustainable urban farming principles and designed to engage children through project-based teaching methods. 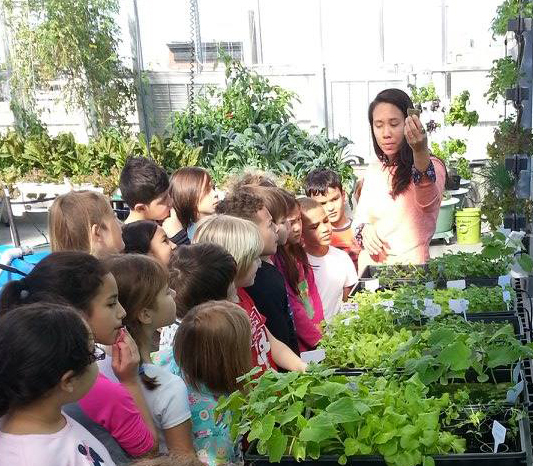 Staffed by a full-time teacher, the greenhouse functions as a supplemental science classroom. The Greenhouse program focuses on issues of global concern: climate change, efficient use of resources, building greener cities, and growing a secure and healthy food supply. At the local level, the Greenhouse empowers children to make educated choices about their impact on the environment. At the global level, students learn to appreciate the importance of sustainable development and links between cultural and biological diversity. Children develop critical thinking and problem-solving skills based on real-world scenarios. They learn through planting, observing, and harvesting, and get to dissect plants, pollinate their flowers, and learn about their structures. After each harvest, they enjoy the thrill of tasting it in the lunchroom, where it is proudly served at the salad bar. Learn where food comes from and the resources required to produce it, which leads to an understanding of the global context of agriculture and sustainability. Gain in-depth knowledge about ecology, natural resource management, and foodsheds, making connections between their science and social studies classes. See first-hand the connection between food production and nutrition. Begin to think creatively about food systems and horticulture and become empowered to make their own choices about their impact on the environment and the world. For more on our Greenhouse story, click on the video below! Ming Chan is the greenhouse teacher. She joined PS 84 when the greenhouse first opened in 2014.